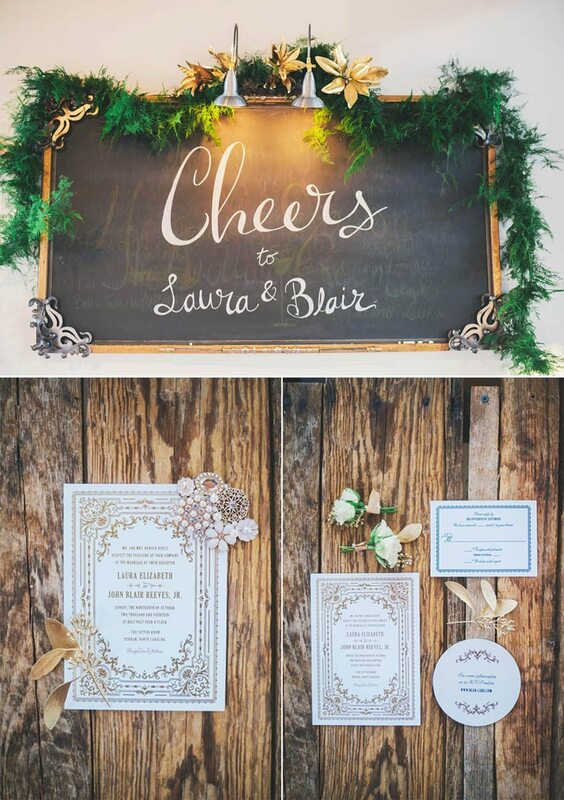 Today we’re taking a look back at Laura & Blair classic southern fall wedding sprinkled with gold magnolia leaves. 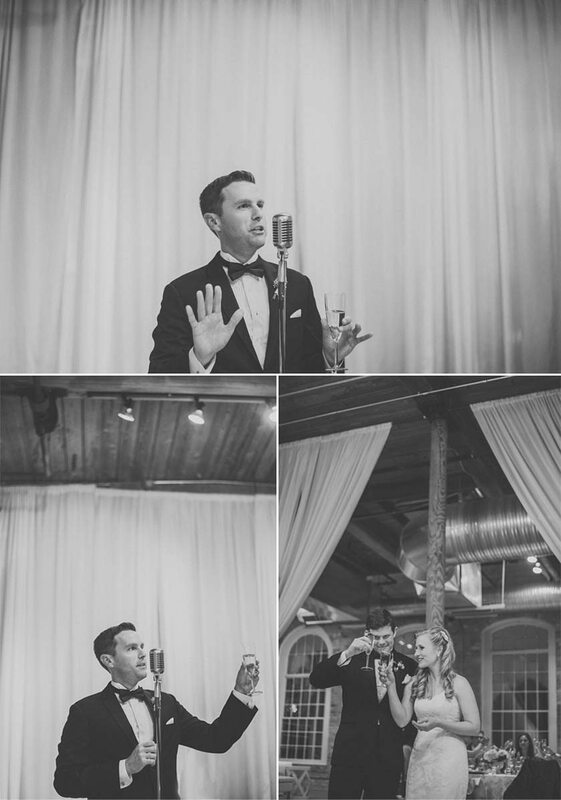 This couple let their unique style come through in every little detail on their wedding day and everything came together amazingly. 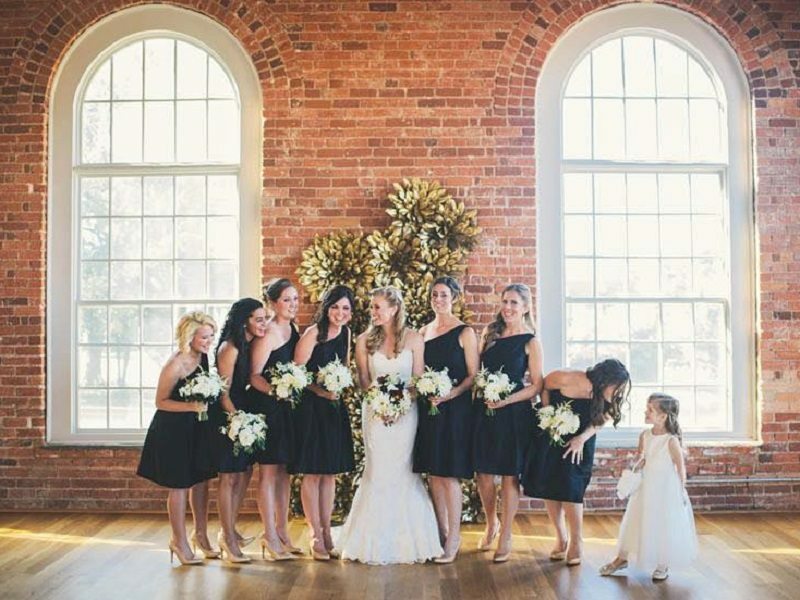 Laura and her team of bridesmaids made the gold magnolia backdrop for their wedding ceremony. 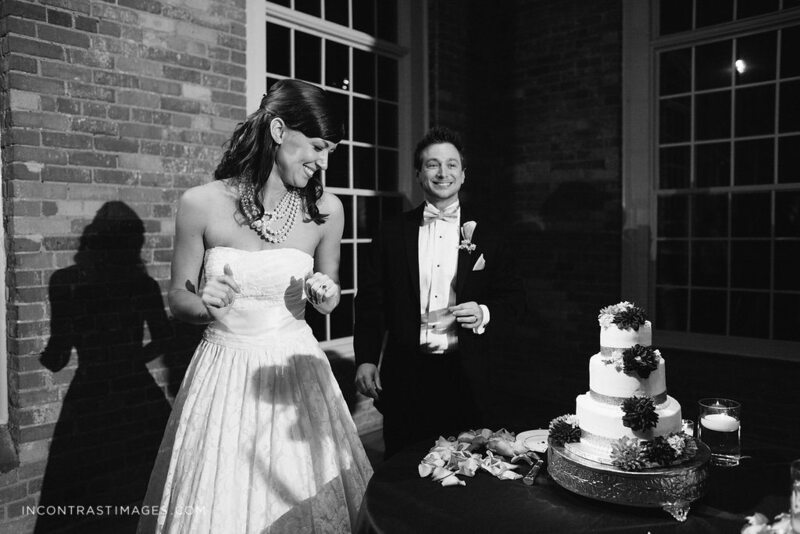 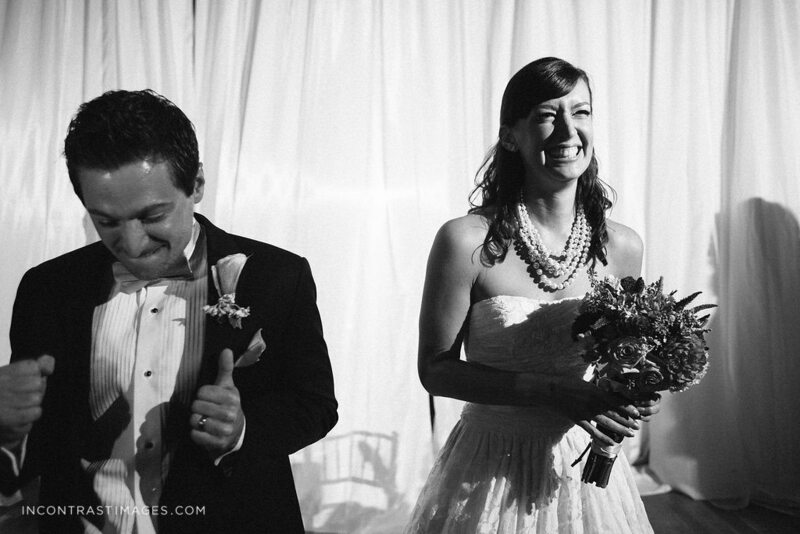 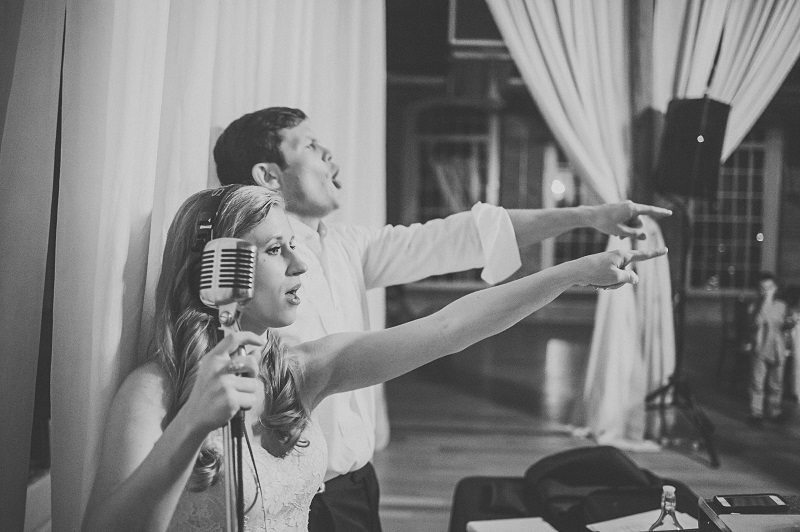 The groom is a musician and Laura’s entrance song was his own version of Canon in D…wow! 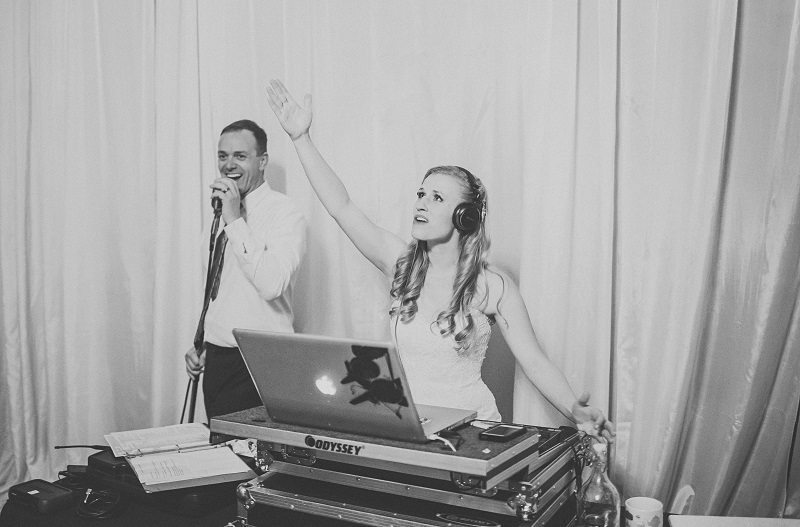 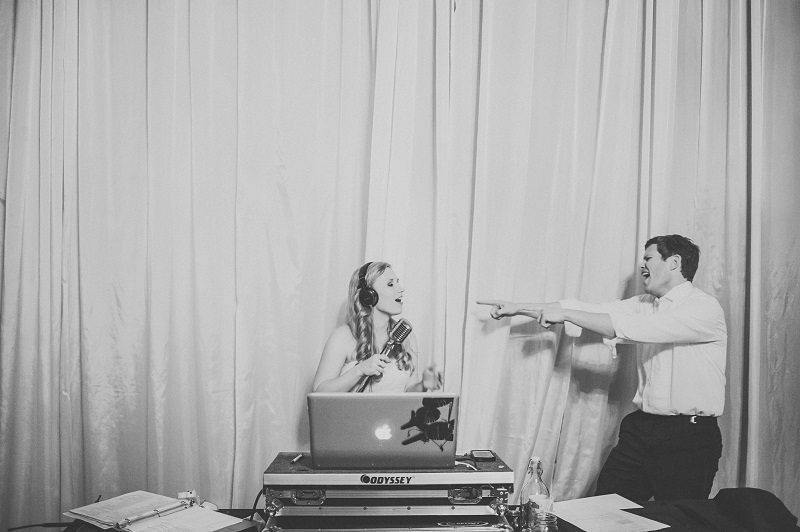 Make sure you scroll through all of the photos below because it got a little out of control when I called Laura and Blair up and let them take over the turntables! 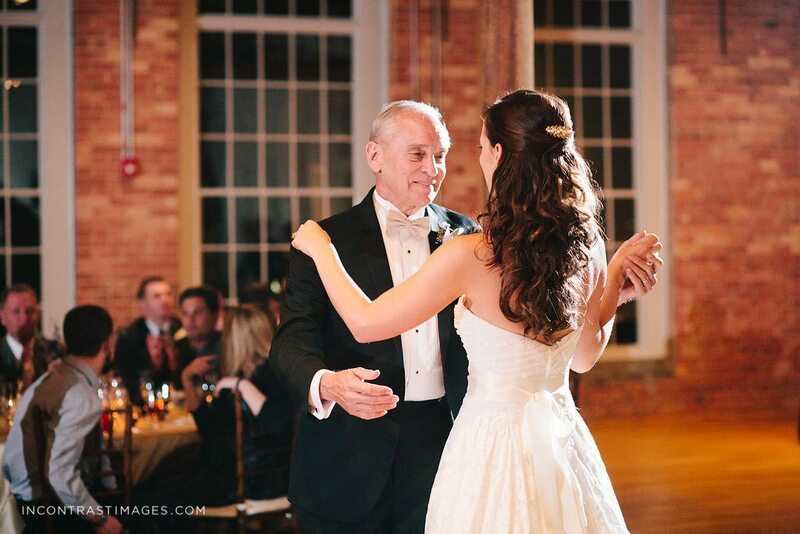 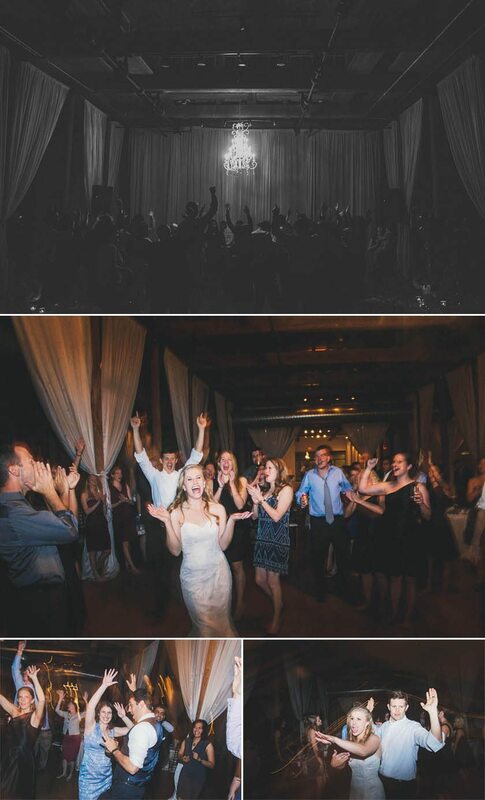 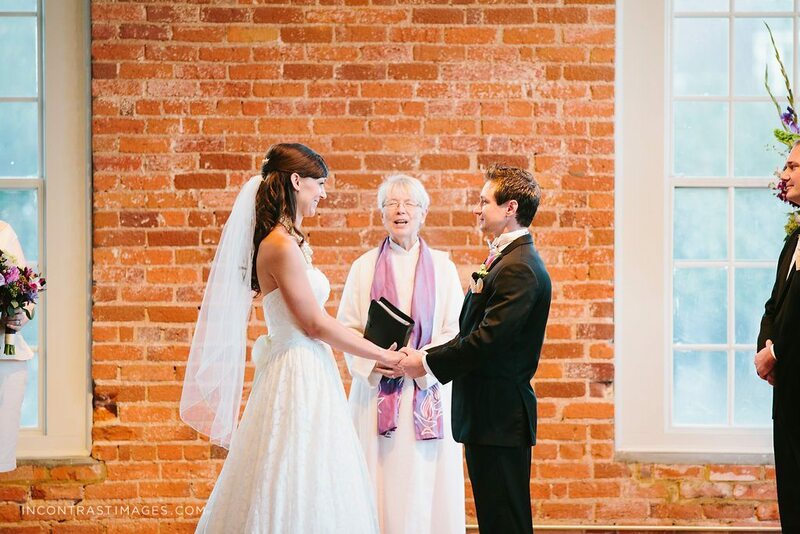 Venue: The Cotton Room is a true Durham original with exposed brick, lots of sunlight and wood floors but what truly makes this venue top-notch is the incredible staff. 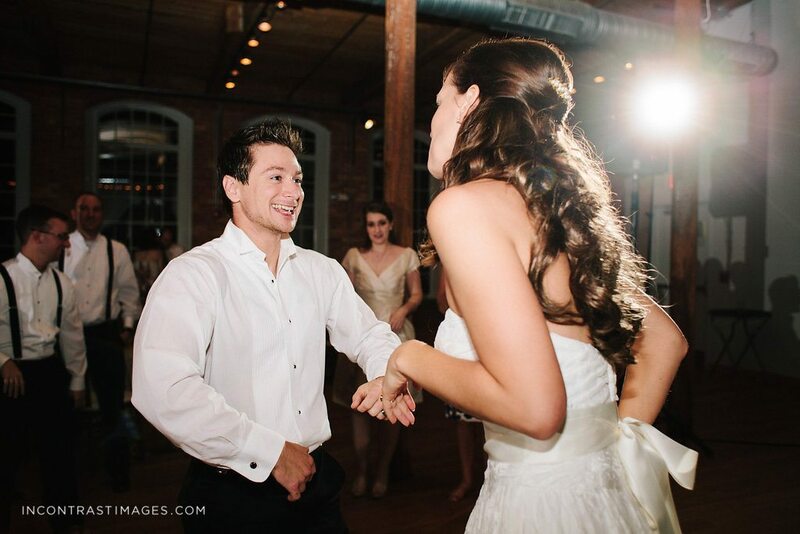 Photography: Joseph and Andrea at Connection Photography were absolutely amazing to work with again! 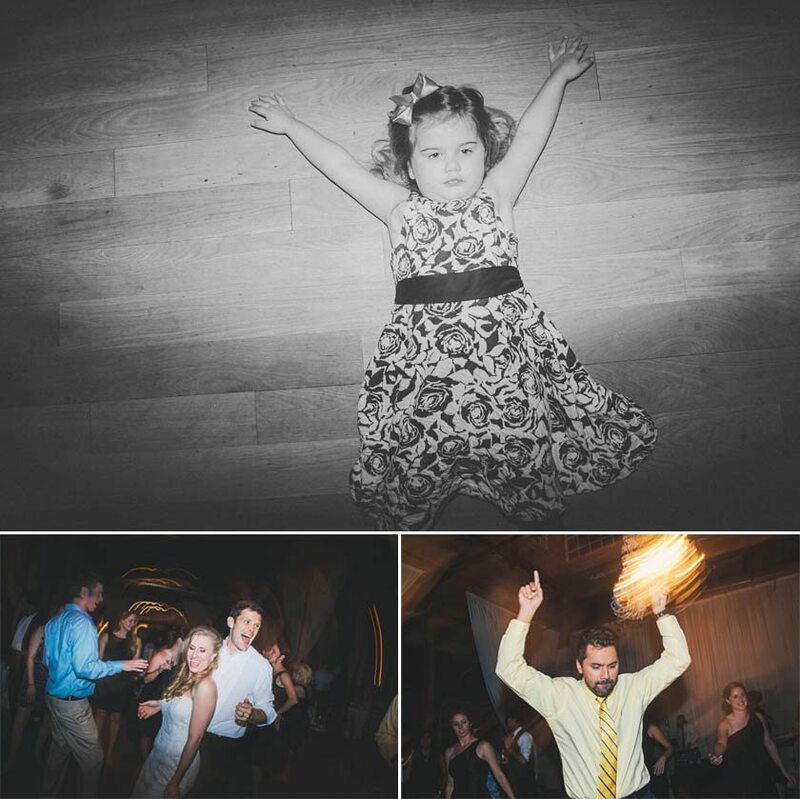 Check out their beautiful and artistic style in the photos below. 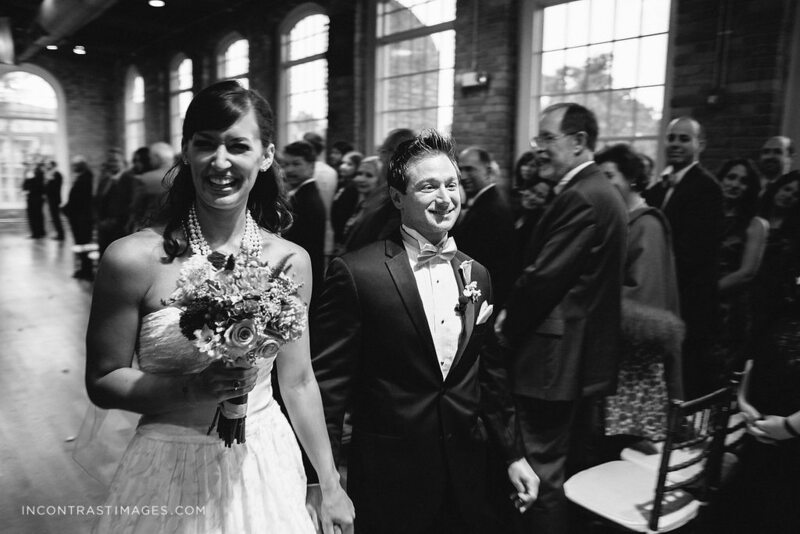 Florist: Only Tre Bella could capture the bride and groom’s exact style in flowers. 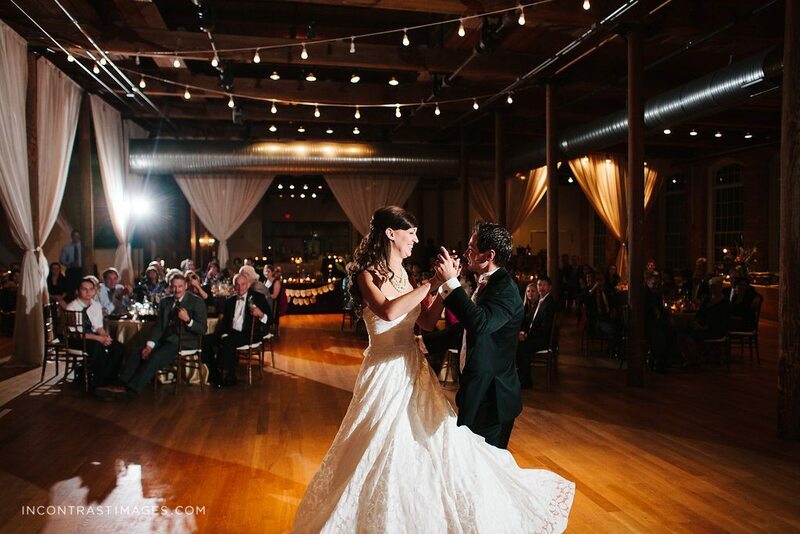 We are lucky to work with Tre Bella a lot and they always impress. 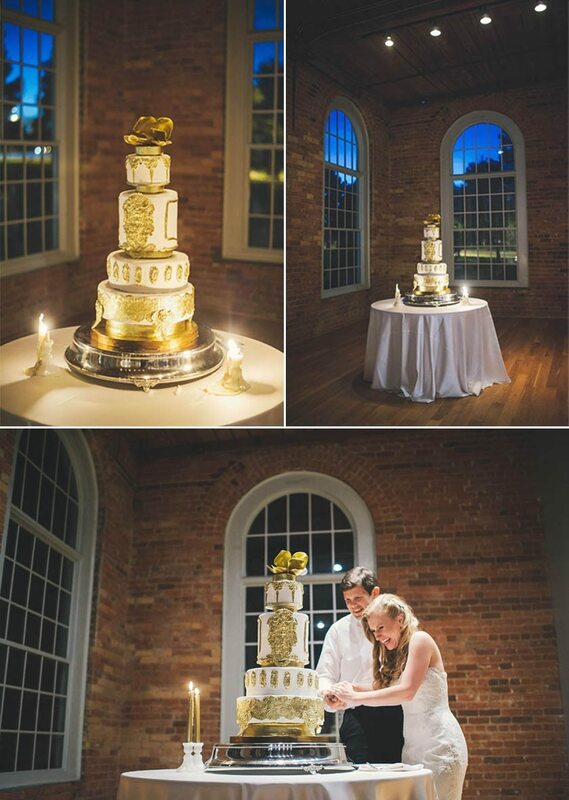 Wedding Cake: Miel Bon Bons artistically captured Laura and Blair truly unique style with the delicious and beautiful wedding cake. 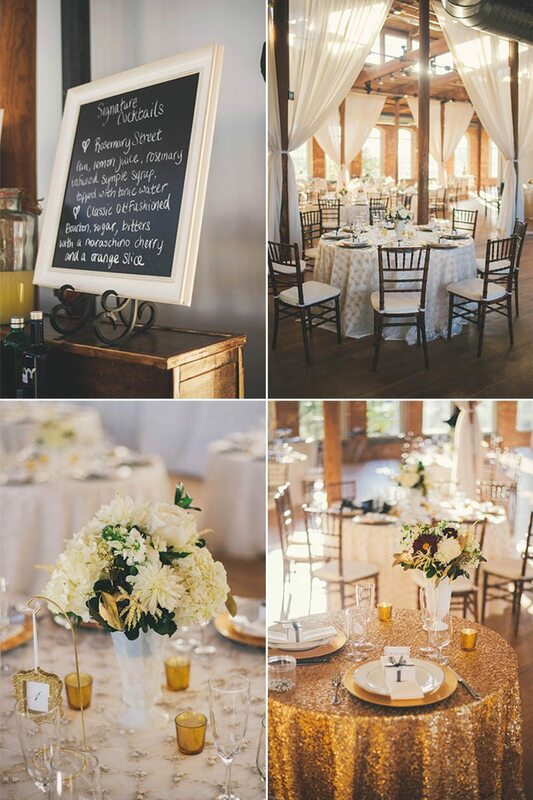 Catering: Triangle Catering provided an amazing in-house experience worthy of the amazing day. 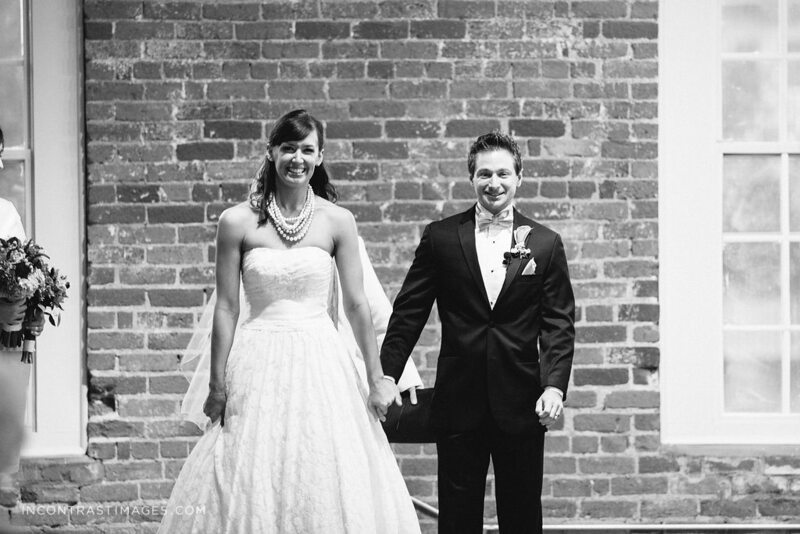 Mr & Mrs Blair & Laura!! 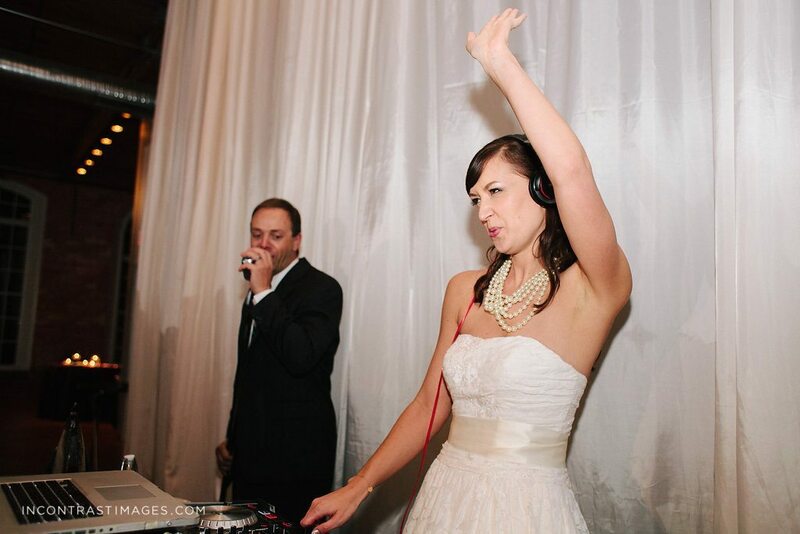 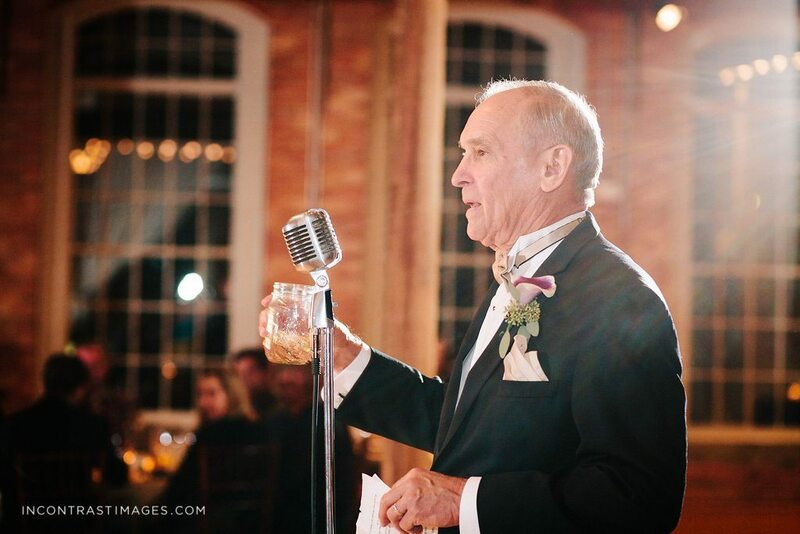 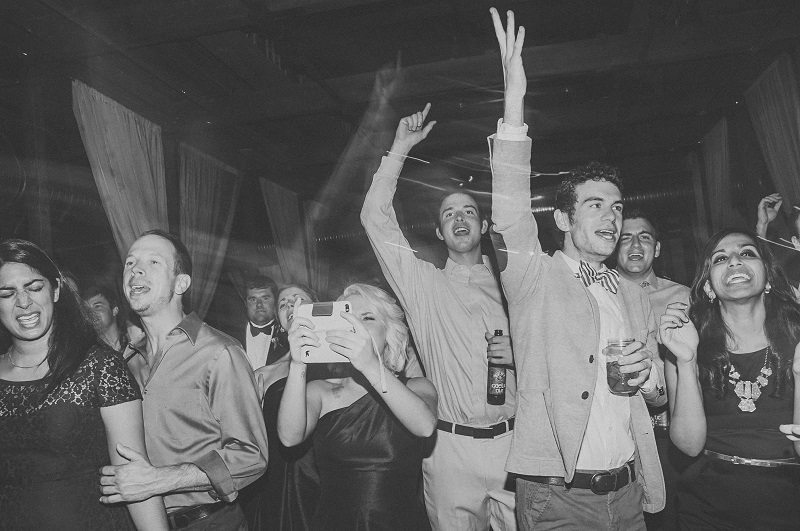 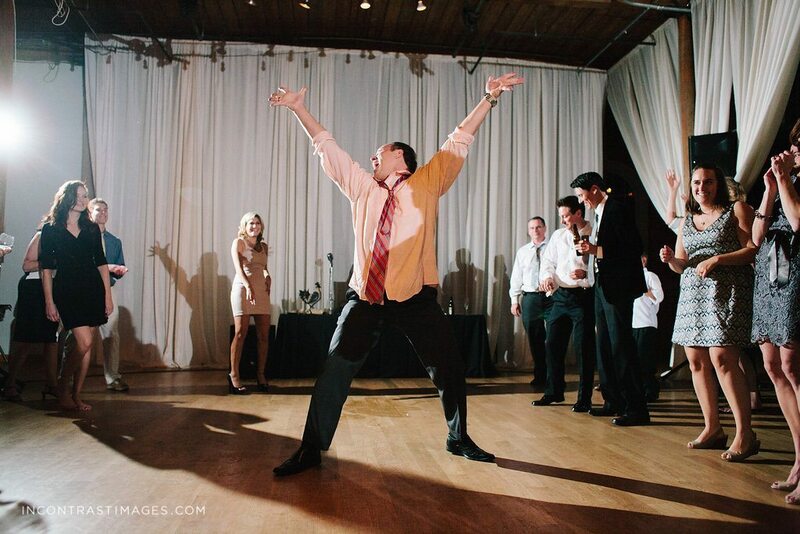 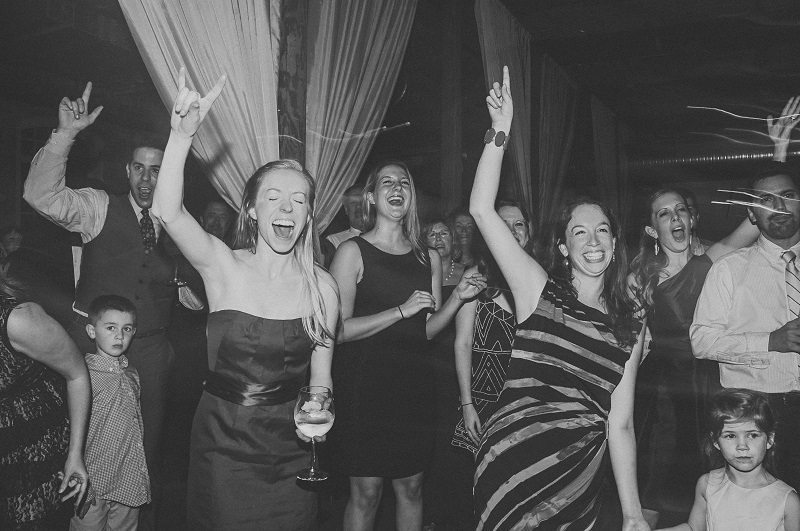 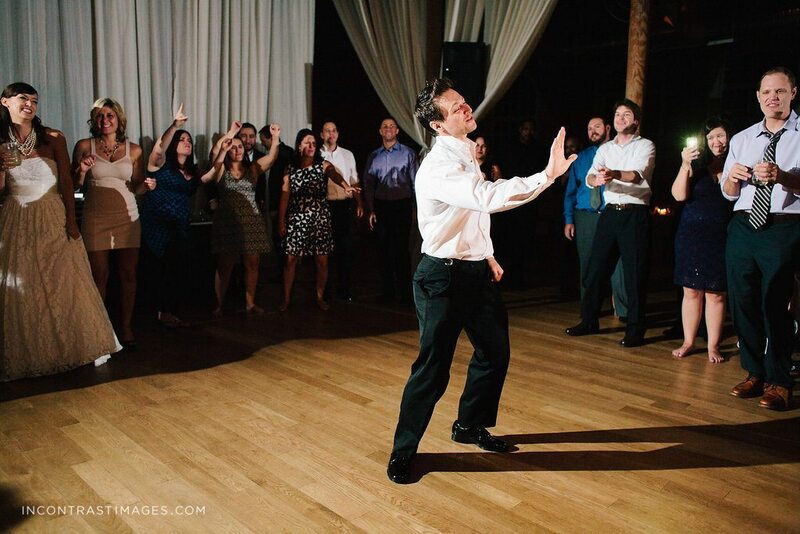 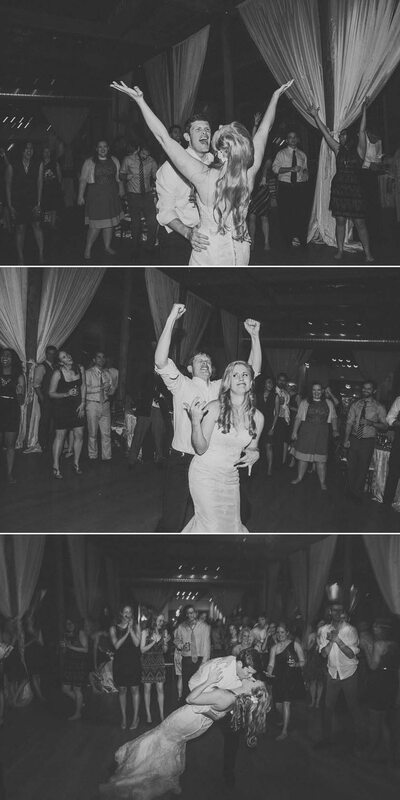 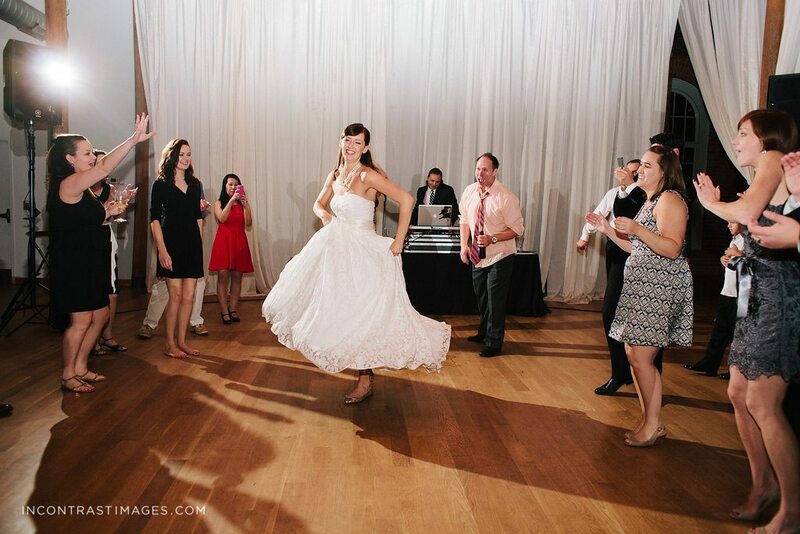 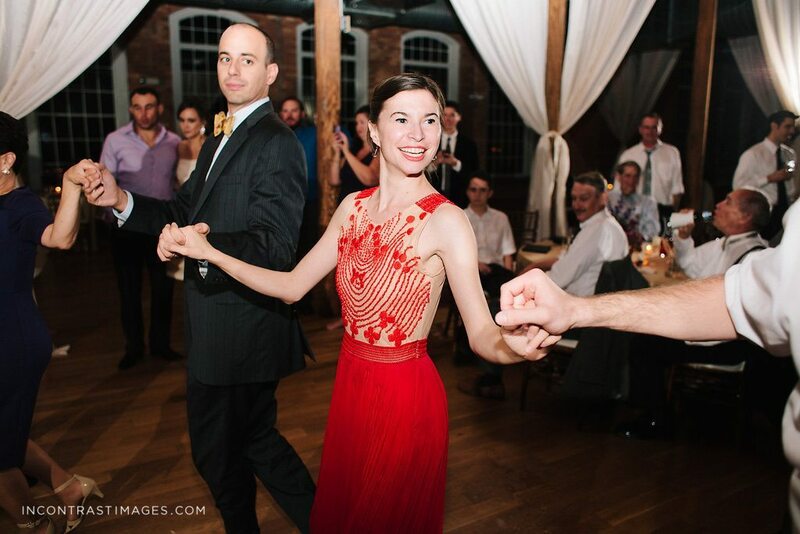 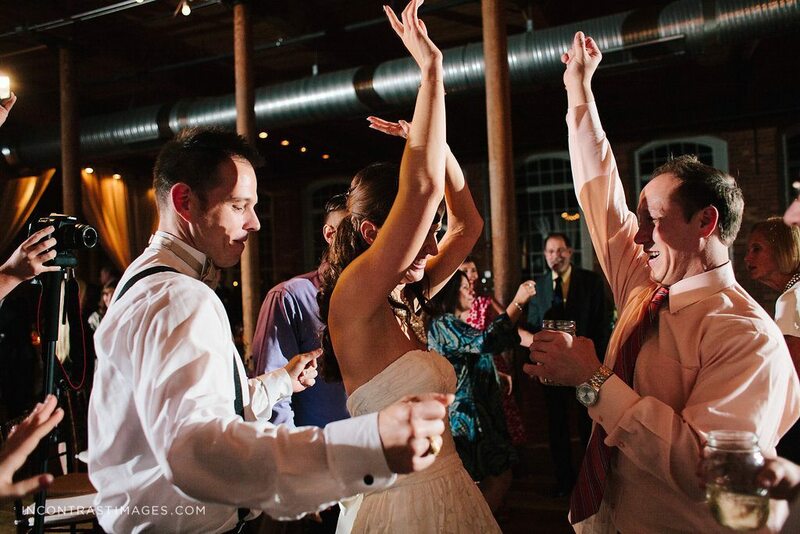 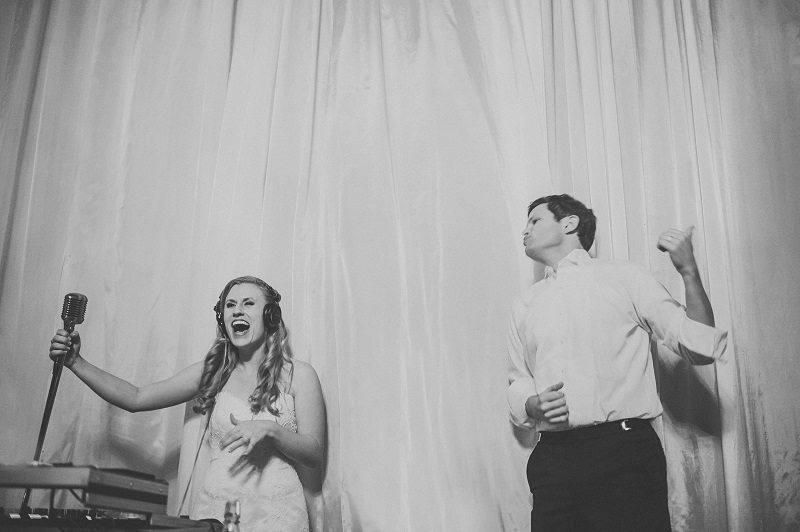 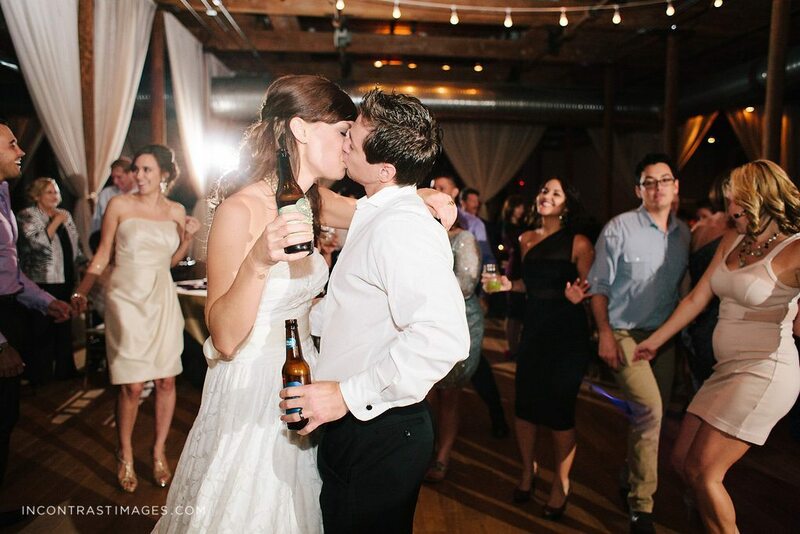 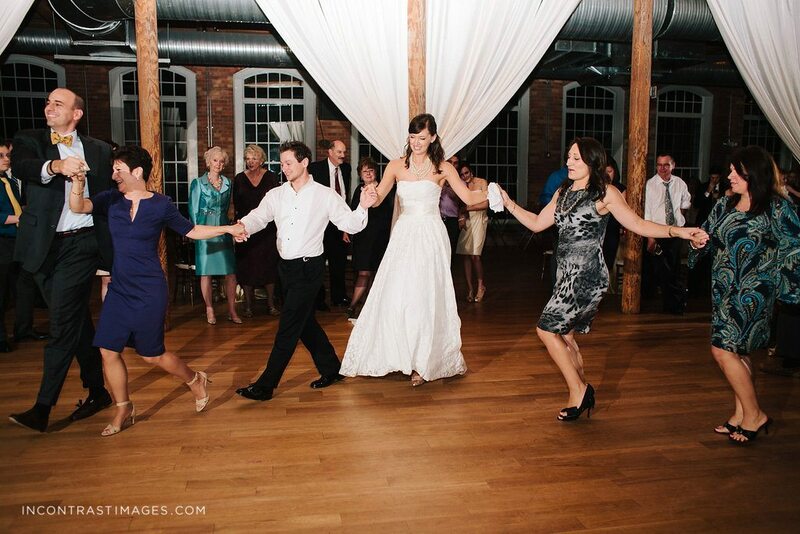 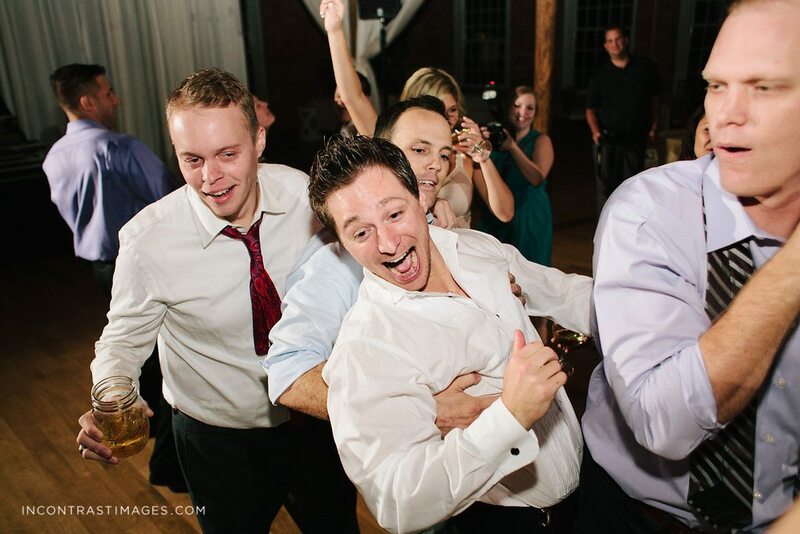 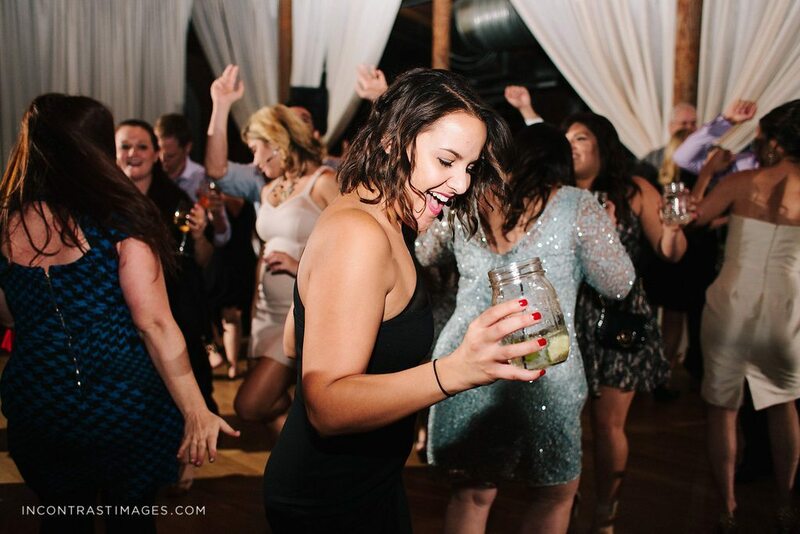 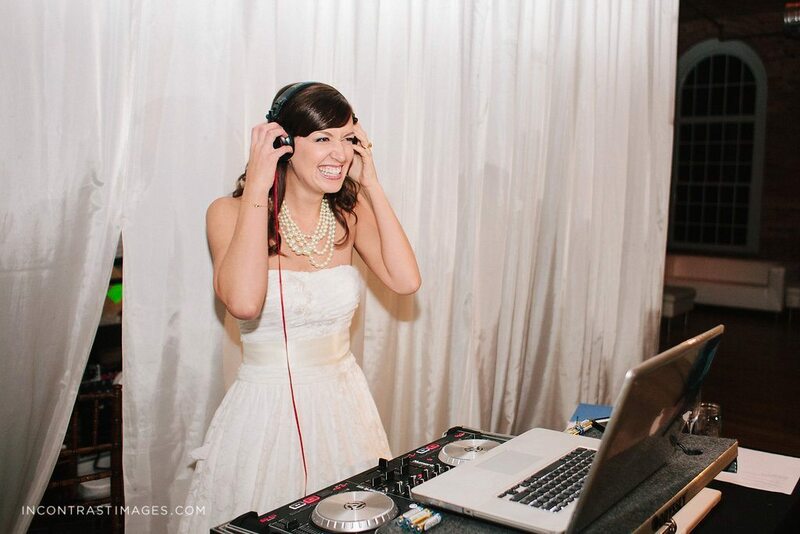 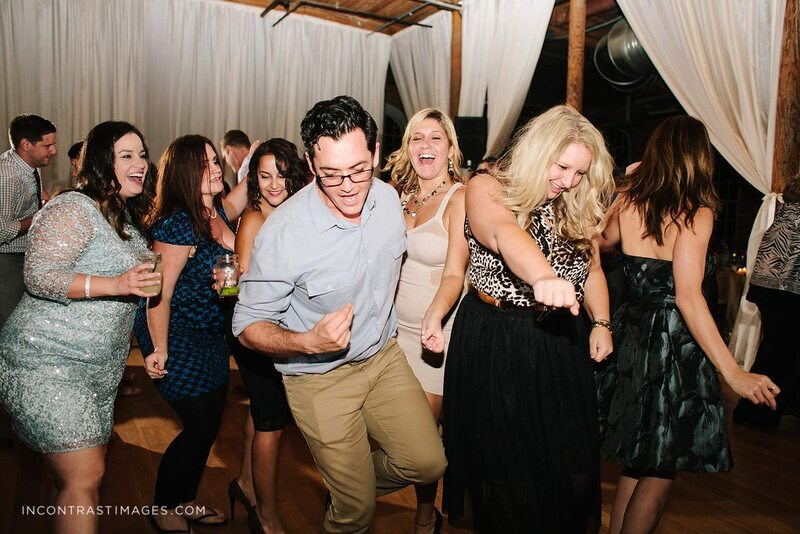 Best Raleigh Wedding DJ Company, Cotton Room Wedding, DJ for Durham Wedding, Durham Wedding DJ The Cotton Room Raleigh, The Cotton Room DJ, You're gonna need a bigger dance floor!